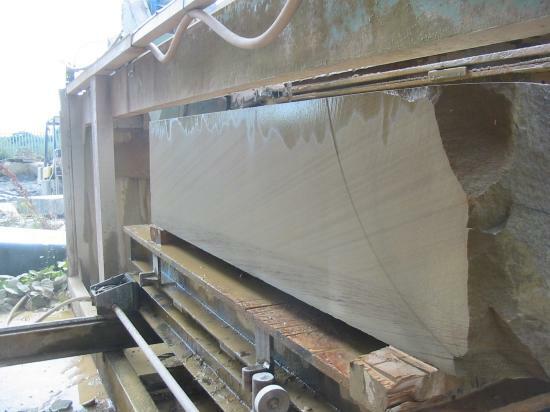 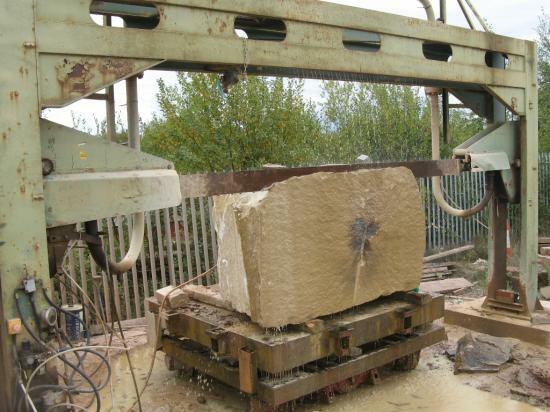 In addition to supplying you with our own natural stone that we have sawn to size for you, JB Stone Masonry also offers a stone sawing service to customers who have their own stone. 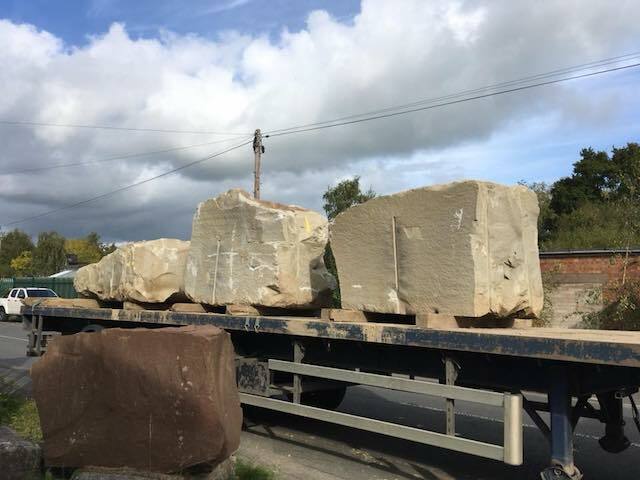 We can saw sandstone, limestone, slate and reclaimed materials. 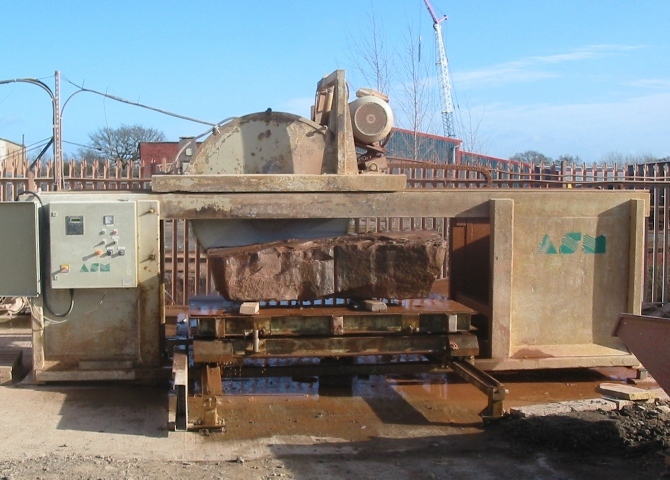 You’ll see below some images taken in our Wrexham yard showing the natural stone sawing and production processes in action. 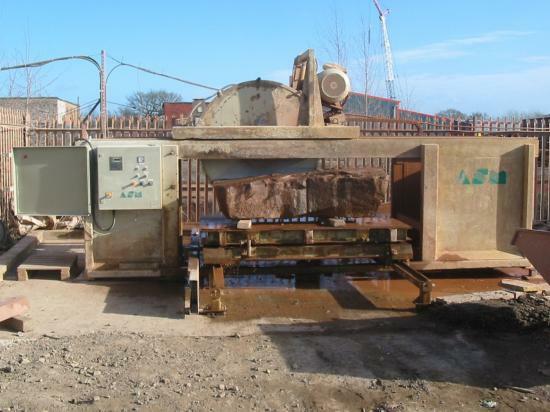 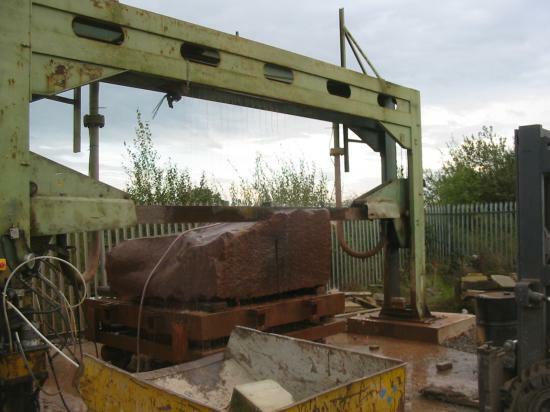 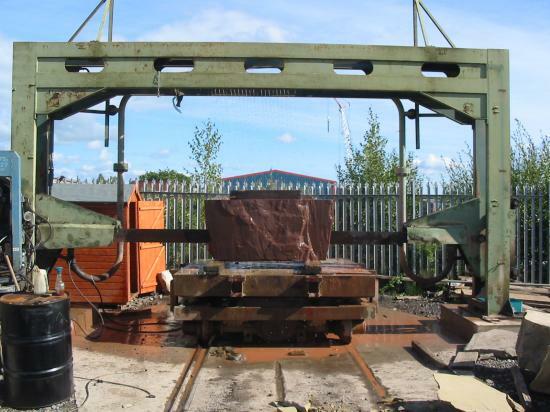 If you are based in the North Wales, Cheshire or Wirral area and would like some more information about our stone sawing service, please give us a call on 01978 664006 or email mail@jbstone.co.uk. 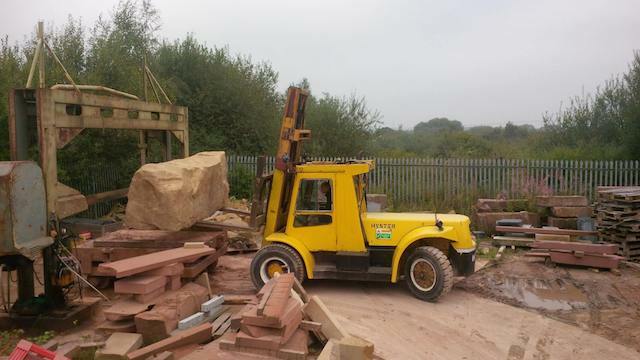 … then it is loaded onto our Monoblade saw. 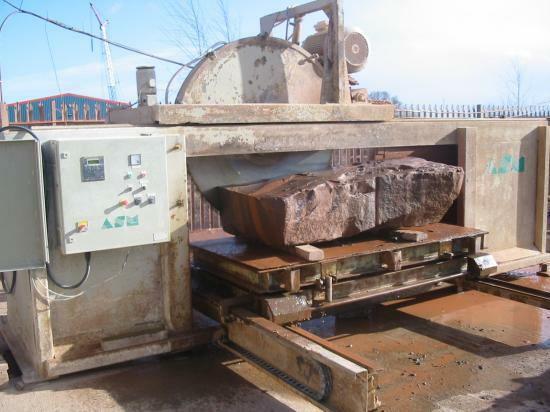 Our blocks are sawn into slabs on our large mono blade primary saw; this saw can cut any size of stone to any thickness. 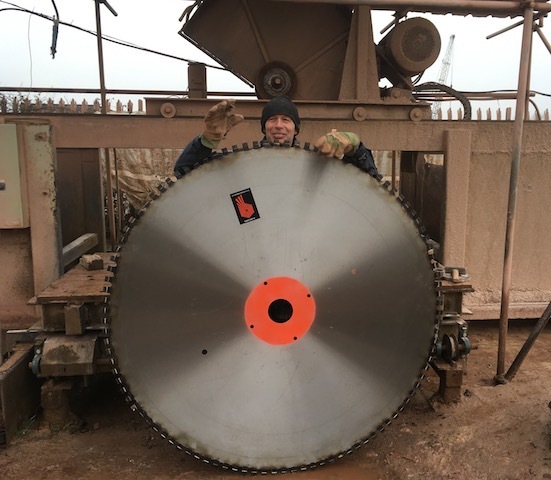 Our 1600mm secondary saw can cut clean through 630mm of stone. 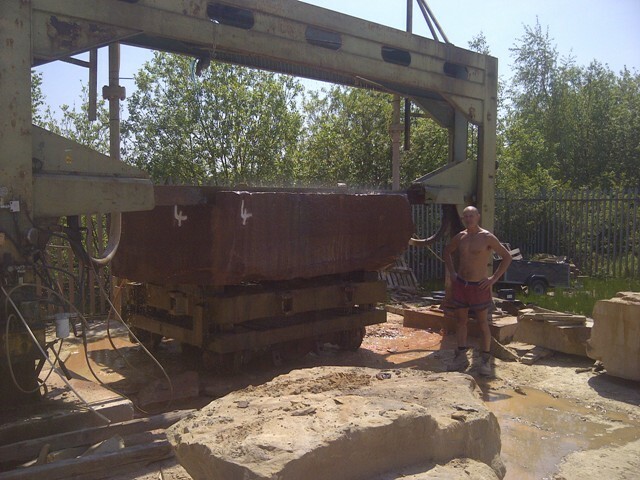 This machine is fully automated with a programmable computer for accuracy and increased productivity. 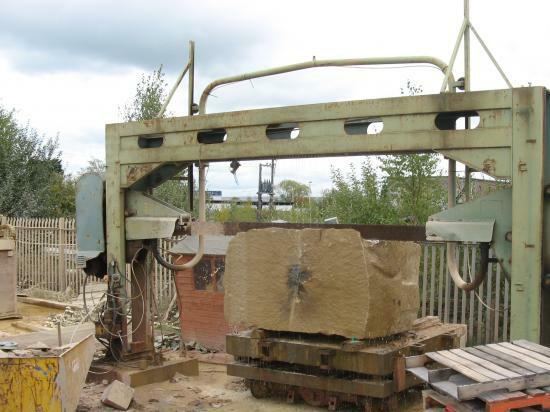 Our 1400mm Wellcut secondary saw can cut clean through 550mm of stone. 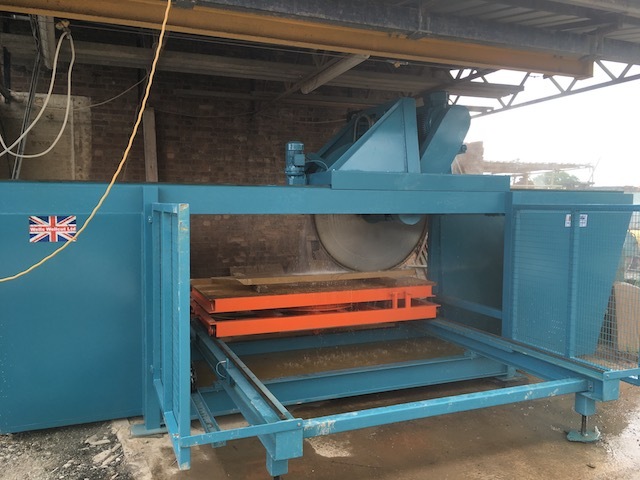 This machine is also fully automated with a programmable computer plus laser alignment for accuracy and increased productivity. 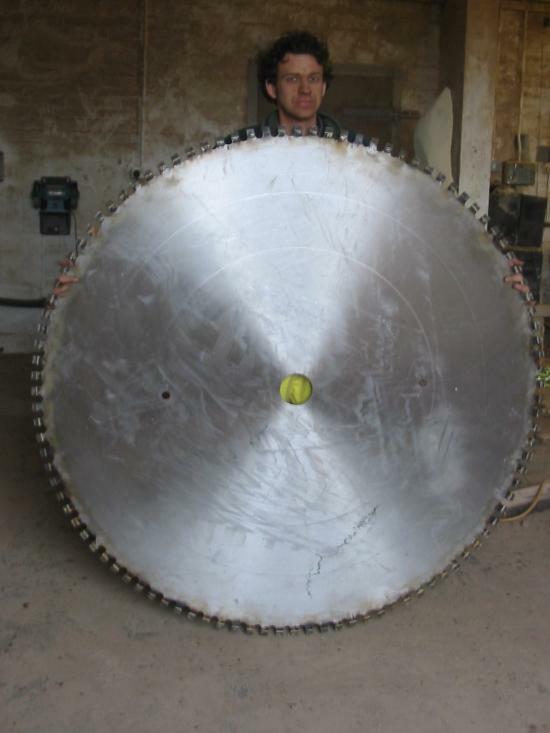 Changing the blade on our saw: the blade is 1.6M diameter.